Have an invention or a great idea for a company? Scroll down for our interactive guide for aspiring graduate student and faculty entrepreneurs at the University of Maryland. You have developed a new innovation, such as a new method, process, system, material, device, software, service, curriculum or database, or you have a great idea for a venture. What are your next steps? Tell Us About Your InnovationDisclose your innovation to the University of Maryland. Please provide information about your innovation, including grant funding, inventors and/or authors.  Disclose your innovation to the University of Maryland. Please provide information about your innovation, including grant funding, inventors and/or authors.. Disclose your innovation to UM Ventures. Please provide information about your innovation, grant funding, inventors and/or authors. UM Ventures will evaluate your IP and will develop an appropriate IP management plan to protect it, including patent, copyright, and trademark protection. Contact the UMD I-Corps team at mtechventures@umd.edu and request a meeting. The UMD I-Corps team will enroll you in a two-week workshop that will guide you through the customer discovery process. If you complete the workshop successfully, we will recommend that you apply for the seven-week NSF I-Corps program that comes with a $50,000 grant. Work with experienced entrepreneurs who can answer questions, provide guidance, and act as your business advisors. Find current EIRs, with bios. Work with your MII Site Miner to apply for $115,000 to validate your technology. These funds go to the faculty member's lab, with NO overhead. Request that a Site Miner be assigned to you. Explore CEO candidates through your advisory network. UMD is offering startup business fundamentals workshops, in areas such as sales, accounting, marketing, HR management, and leadership. Register here. Your idea has been validated. What are the next steps you should take in forming a successful venture? Discuss with EIRs and your own attorney the different options for registering your company, and file documents to form your startup. Request a meeting. Forming a startup may or may not arise in COI. Simply disclose your startup activity to the University COI Committee, and work with the committee to form a COI management plan, if needed. You will need to hire legal counsel to represent you during your negotiations with the University to obtain a license to IP you developed, as well as to investigate Freedom to Operate and Export Control issues. You should also involve legal counsel when bringing on advisors and new employees. Work with your Site Miner to apply for $150,000 that would go to your company to support commercialization activities. Request MII Site Miner. SBIR is a highly competitive grant program offering over $1 million in non-dilutive financing (combined Phase 1 and 2) to qualified startups. Mtech and the SBDC at College Park provide assistance with SBIR applications. Network to form a team that includes people with areas of expertise that include operations, finance and business development. Work with UM Ventures to secure the appropriate license to any IP you plan on using for your startup. Express licenses may be available to qualified startups. Request license. Work with your advisory team to further iterate your business model and develop a funding strategy. Identify and work with your prospective customers to understand their sales cycle, process, and churn. Work to develop your Minimum Viable Product or MVP, to position your startup for pilot contracts and early revenue. Secure an office and/or lab space for your company separate from your university office/lab. If you need to use your university lab initially, you must obtain a Facilities Use License. Inquire about available space through Mtech Ventures at UMD. The Maryland Industrial Partnerships (MIPS) program offers matching funds for technology product development projects that team companies with USM faculty. Forming a startup may or may not arise in COI. Simply disclose your startup activity to University COI Committee, and work with committee to form a COI management plan, if needed. SBIR is a highly competitive grant program offering over $1 million in non-dilutive financing (combined Phase 1 and 2) to qualified startups. Mtech and SBDC at College Park provide assistance with SBIR applications. Your early stage venture is formed. What steps should you take to accelerate it towards a sustainable company? Work with your advisory team to create the appropriate management team structure for your startup. We can connect you with CEO, CFO, CMO and other candidates that you could consider. Work with legal counsel and accountants to obtain necessary business licenses, permits and insurance, and inquire about personal property and other tax obligations. Talk to your advisors. Work with your management team and your advisors to identify talent needs and how to attract and hire the right people. Line up a payroll/HR company to serve as your virtual HR department. Launch your beta product for customer use and/or sales. Engage your sales team to developing your customer pipeline and close deals. Identify how much money will you need to grow. Work with your management and advisory teams to identify funding sources, such as grants, angels, VCs. Sources include: MIPS, Maryland Momentum Fund, and Dingman Angels. Incubator or co-working spaces are ideal for startups striving to save money before moving to a bigger space and collaborating with other startups. Your venture is successful. What steps should you take to sustain it? At this stage you will need a dedicated office and/or manufacturing facility, which may be scaled up from your incubator space. Work with your advisory team to identify options in College Park or beyond. Marketing and sales are your startup's main activity. Customer acquisition and customer satisfaction are two primary goals. Work with your advisory team to acquire a bank line of credit to finance your manufacturing costs, if needed. Design an HR policy that reflects your company culture, expected employee behavior, general work expectations, employee benefits, procedures and dress code, etc. Grow within your current markets, and start entering new markets, possibly with new or additional products or services.